New content is available on the European PlayStation Store today, with fifteen new PS4 games available this week. Notable games this week include Kingdom Hearts III, 8-Bit Hordes and Drowning. New content will be going live on the European PlayStation Store tomorrow (Tuesday), with a number of new additions including games and DLC. On the PS4, over 15 new games have been added including Tales of Vesperia and the God Eater 3 Demo. New content is available on the European PlayStation Store today, with new games and add-on content available to purchase and download. In this week’s update, over 30 new PS4 games have been added, including Gun Club VR, Scintillatron 4096, and Fall of Light. New content will be available on the European PlayStation Store from tomorrow, with over 25 new PS4 games being added to the store throughout the week. Notable games this week include Borderlands 2 VR, Earth Defence Force 5 and more. New games become available on the European PlayStation Store later today, with over 20 new PS4 games releasing this week. Notable games this week include Darksiders III, Asterix & Obelix XXL 2, Ride 3 and several new PlayStation VR titles. You can also find new DLC for various games in this week’s update. 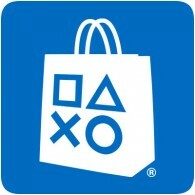 The European PlayStation Store has been updated today, adding new games and content to the catalogue. This week’s update adds over 30 new PS4 games, including Battlefield V, Farming Simulator 19, and Rush VR. The update also includes new add-on content. Checkout the full list of new content below.